Do you want to study in the UK, but aren't sure which university is right for you? Our INTO Manchester multi-pathway Centre could be the perfect choice! Offering progression to one of NCUK's partner universities, including The University of Manchester, The University of Birmingham and The University of Leeds, we can help you choose the right university and degree for you. Why study at INTO Manchester? INTO Manchester gives you the opportunity to study in Manchester, one of the most exciting cities in the world. And the best thing about INTO Manchester? We give you the flexibility to choose from 1000+ degrees at some of the best universities across the UK. We’re all about giving you the choice – we offer guaranteed progression to one of 16 NCUK partner universities but we also give you the freedom to apply to universities across the UK. In fact, 60 different UK universities have welcomed our students, including the University of Cambridge. 60 UK universities have welcomed over 3,000 INTO Manchester students . Best UK city to live in and 35th in the world (Economist Global Livability Survey 2018). One of the largest student communities in the UK (Higher Education Statistics Agency 2016-2017). Help choosing the right university and course for you through our dedicated Placements team. 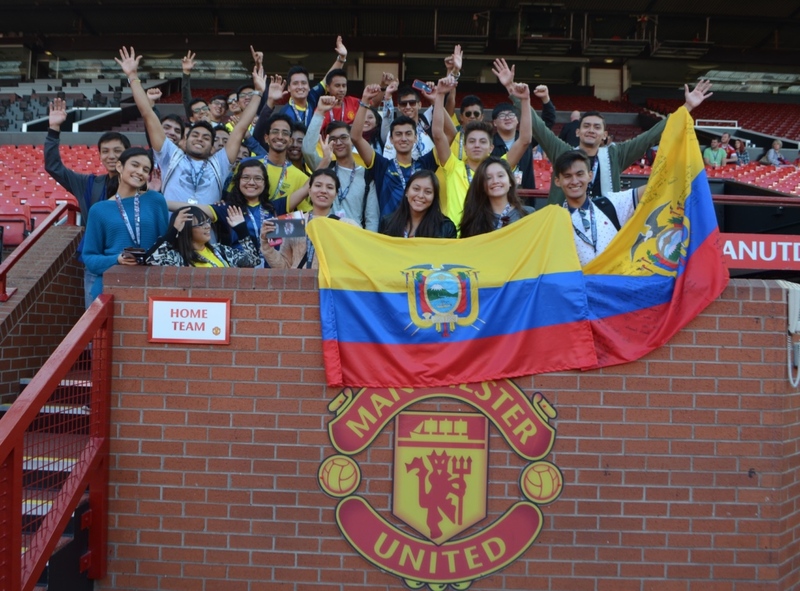 100+ nationalities have studied at INTO Manchester . Want to study in Manchester? The INTO Manchester Centre offers a range of excellent facilities for learning and studying. It’s also located in the city centre, so you’ll never be far from a variety of shops and cafés if you need a study break! An eclectic mix of music, shopping, sport, and a buzzing social scene all wrapped up in one student-focused city. Get ready to explore Manchester, the UK’s capital of the North and one of the most exciting cities in the world (Time Out City Life Index 2018). Thinking of studying in Manchester? Current students and staff share their favourite attractions in this diverse, welcoming, metropolitan city. Worried about studying in the UK? There’s no need to be! Our enthusiastic support teams are on-hand every step of the way. From helping you set up a bank account and renewing your visa, to support with your university applications. You name it, we can help! The friendly Student Services team are there to make you feel right at home, have a question about your accommodation or your course? No problem! That’s just what we’re here for. The support doesn’t end there as we have a dedicated Student Placement team to guide you with your university application. Live as part of a vibrant student community in a modern residence, or immerse yourself in British family life with a homestay. Whichever you choose, INTO are always on-hand to help you settle in and make you feel at home while you’re studying in Manchester.